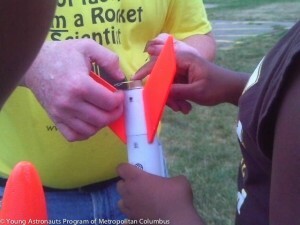 Mission: The Young Astronauts Program (YAP) of Metropolitan Columbus is an educational program that focuses on the teaching of math and science to middle school youth through aviation-based activities. Vision: The program is designed to elevate the interest and skills of gifted and talented students in STEM and career preparation, including urban and under-served students. Background: For over 12 years, public school students were served in a joint effort of private/public partnerships. Expanding on the original design, the YAP is now a demonstration project in partnership with The Ohio State University Center for Aviation Studies. The YAP introduces students to aviation role models and community mentors who are licensed pilots, science specialists and educators. Program Design: During the regular school year, the program coordinator, lead instructors and guest instructors plan and conduct weekly lessons (1 ½ hours). 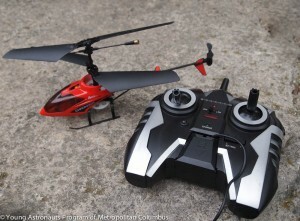 Each lesson is structured to teach principles of math and science through aviation based activities. Theory based instruction is balanced with hands on activities for the following modules: the four forces of flight (e.g. launching airplanes and helicopters that students make from various types of paper, wood, balloons and other materials); flight controls and aerodynamics; flight instruments and simulator; flight safety; rockets; helicopter and rotary crafts; meteorology. Lessons encompass skill development areas such as critical thinking, problem analysis, and problem solving. Students construct models and test them in team competitions. Maps, navigational instruments, rocketry kits and other real life equipment are used for instruction to reinforce the excitement of science experimentation, the value of career exploration and the significance of developing team membership and leadership skills. 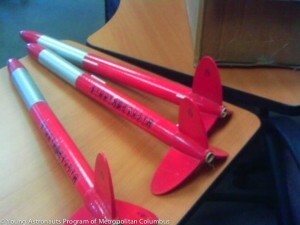 Big changes are coming to the Young Astronauts Program of Metropolitan Columbus. We will be updating, restructuring and redesigning the program in 2014 to prepare for a re-launch in 2015. We will be spending the next two months (July and August) to conduct research and planning and to contact all former persons who expressed interest in the program.